Viva La LOOP—no more lost glasses! 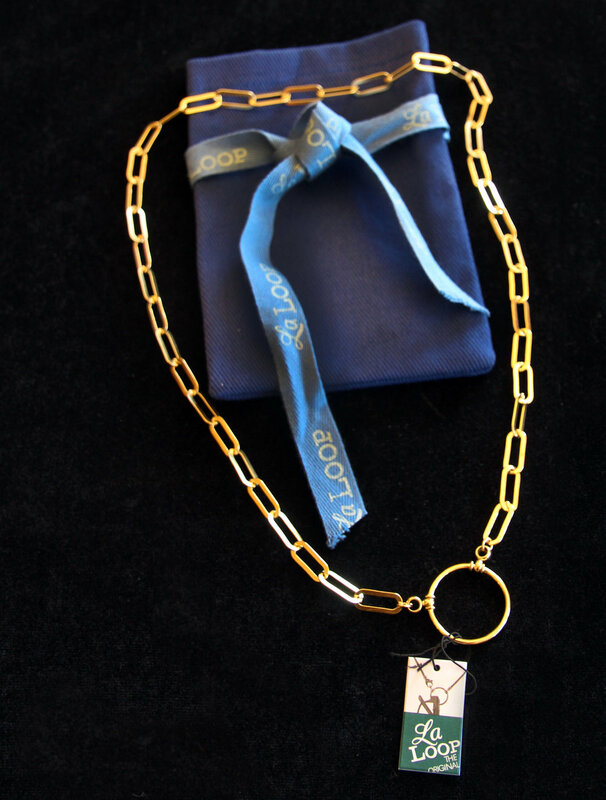 My La LOOP Lady in Gold arrived in its own beautiful pouch. What a wonderful pre-Mother’s Day present! I wish I had a list of all the sunglasses I’ve lost on my travels over the years. Most recently, I dropped my Gucci sunglasses while hiking over the cliffs of the Shetland Islands; my Maui Jims plopped into the waves as I leaned over the railing on a cruise; and my Dolce & Gabbanas met their end when they fell from my head as I was photographing the Grand Canyon. Trust me, propping your sunglasses on your head or stuffing them in your clothing, doesn’t quite provide the security you need to protect those expensive shades. Those standard schoolmarm eyeglass holders were no solution, as not only were they unattractive, they constantly got tangled in my camera strap—to my constant annoyance. This is why I was so excited when I learned about La LOOP, a company that specializes in stylish and functional eyeglass holders. There are a wide variety of lovely styles and materials available at all price ranges, but my eyes lit up when I discovered the LADY IN GOLD. I knew this lovely design would take me through all sorts of press trips, from casual to formal. Thanks to my daughter and family for an early, and much appreciated, Mother’s Day gift. I’m always on the quest for travel items that help provide comfort during the long hours we spend strapped in airline seats. Eye masks are crucial for me, not only on the plane but in hotel rooms, as I simply can’t sleep if there is ambient light in my vicinity. I can recommend the Manta Mask for a variety of reasons. The mask is super comfortable and boasts deeply molded eye cups, so your eyelashes have no contact with your mask, no matter what. This is so important for us ladies if we’ve applied full makeup on a business trip and just want a few quick winks on the plane without disturbing our makeup. The mask offers a super soft fabric and 100 percent black out, which makes it a wonderful traveling companion on long, transcontinental flights. No matter what time of year, it is cold somewhere on this earth and you may need a pair of good gloves to fight off the chill while having the oh-so-necessary ability to operate your cell phone’s touch screen. We tested out the touchscreen gloves from Mujjo both on a frigid trip to New York City in January, as well as an equally cold trip to the Grand Canyon just a few weeks ago. The gloves provided an excellent degree of warmth, but their forte was being able to easily operate a cell phone and camera with the excellent touchscreen tabs provided on the glove’s tips. My home in Southern California has been hit with unprecedented rainfall this winter, and so I have had the opportunity to try out the innovative RAINRAPS “Pashmina for the Elements.” The wrap, which is super lightweight and water-repellent, has taken me through a few major downpours. It is without doubt a practical alternative to traditional bulky rain gear, is fast drying, and reversible too. Best thing is, I still looked fashionable while staying dry. My RAINRAP is going to be a packing staple when I travel to wetter climes around the world, especially since it will take up very little room in my carry-on (the only way I travel, incidentally). On the shores of the Bay of Loreto National Park, lies the charming and historic town of Loreto. Its colorful streets and squares, Old World ambiance, laid-back atmosphere and endless opportunities to discover natural wonders make it a favorite spot for visitors from around the world. Ready for a wellness experience that is above and beyond the ordinary? Just a short ride from the Loreto airport lies the luxurious Villa del Palmar Resort & Spa, which overlooks the indigo waters of Danzante Bay, a UNESCO world heritage site. For a photo essay on this incredibly picturesque destination, we invite you to visit our USATODAY/10Best photo gallery on the STUNNING NATURAL BEAUTY OF LORETO MEXICO. A work-related conference brought us to Manhattan the end of January. We knew we would only have 12 hours, at the most, to tour the city on our own. We definitely needed to find the perfect place to stay to make the best of this opportunity to photograph Manhattan as well we could, given our time restraints. After much research, we settled on the ROW NYC . This hip and affordably-priced hotel sits in the bull’s eye of Manhattan’s most famous locales, including the Empire State Building, Broadway theaters, Times Square, 5th Avenue shopping, and Penn Station, just to name a few. An added bonus to our stay at the Row NYC was the proximity of CITY KITCHEN, Time Square’s first indoor food market located off the lobby of the hotel. We conveniently enjoyed breakfast, lunch and dinner at this venue, which offers a wide variety of excellent culinary options—including perhaps one of the best sushi platters we have ever experienced! Seating is casual, but we so enjoyed perching on our stools by the window and watching the excitement of Times Square roll by as we dined. You may be wondering what you can do in 12 hours on a winter day in Manhattan? 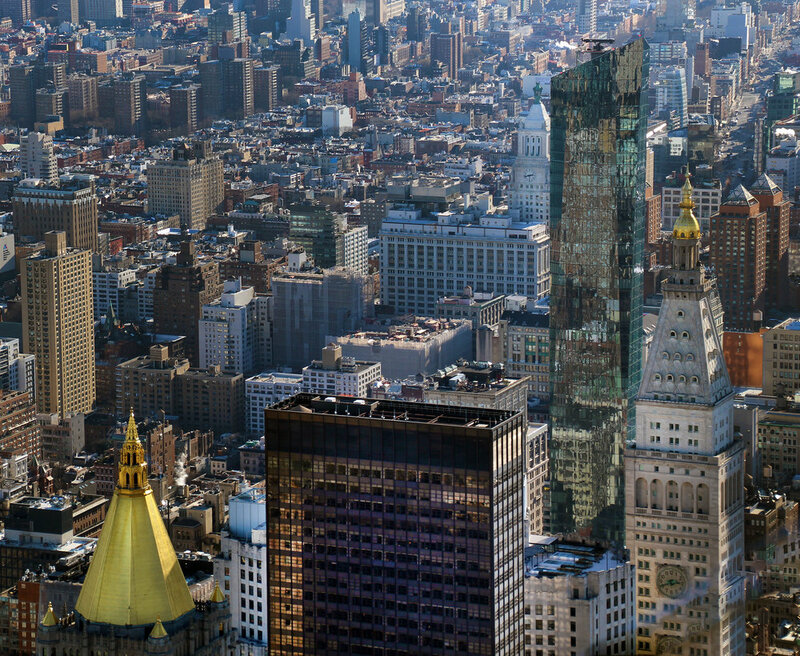 The answer is, plenty—and we have an extensive MANHATTAN PHOTO GALLERY to prove it. Whenever we travel to a destination where a CityPASS is available, we make a point to purchase one prior to departure. Our pass gave us access to six of New York’s top attractions over 9-days, a time period we wished we had the luxury of enjoying on this trip. Since we awoke to a clear blue winter sky, our first choice was a visit to the observation deck of the Empire State Building. I had last visited as a child, and my husband Tony had never been, so it was an easy decision. Turns out we spent several hours pouring over the many historical displays that detailed the building’s construction and admiring the Art Deco architecture from ceiling to floor. When we finally did get to the observation deck, we spent another several hours photographing the awe-inspiring views of Manhattan from all sides of the platform..
Dusk had fallen by the time we exited the Empire State Building. We strolled for hours down Broadway, past Times Square and through the theatre district, savoring the sights and sounds of the Big Apple. After a nightcap at Row NYC’s cozy District M bar, we fell into bed for a restful night’s sleep. It was back to business the next day, but those 12 hours were right up there among some of our most memorable visitor experiences. It’s February and it is definitely time to plan your 2019 vacation. If you haven’t thought about taking a river cruise to some beautiful destination in the world, think again. You can do as little or as much as you would like once you step into your luxurious home for the week (or longer). Sip a glass of wine as you watch incredible landscapes roll by before you, enjoy gourmet meals, hike up 1,000 stairs to a castle wall, bike on river paths through quaint towns and vineyards, and tour ancient city centers. Unpack once and let the cruise itinerary lead you to destinations and experiences you would be hard pressed to organize and tour on your own within a given time period. 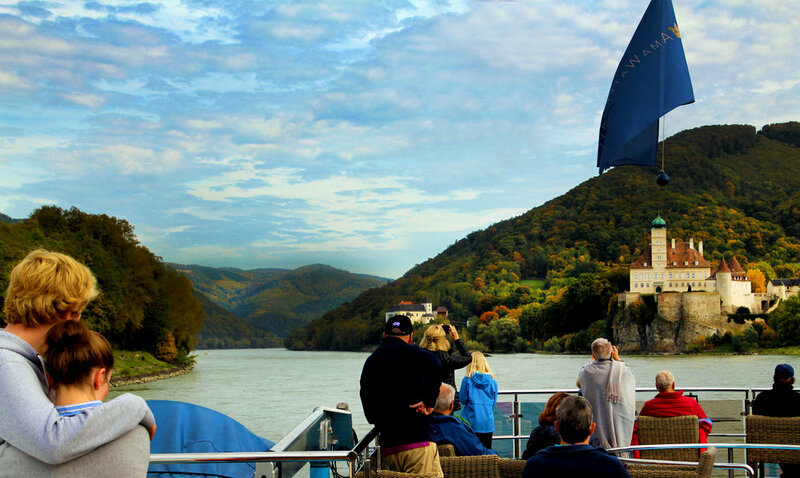 Enjoy a PHOTO TOUR of our experiences aboard AmaWaterway’s luxurious AmaCerto during an unforgettable cruise down the romantic Danube that brought us from Germany to Hungary, with scenic stops at places of outstanding beauty and rich history along the way. We’ve had the pleasure of visiting Healdsburg, California in every season of the year. As a photographer, my favorite season is the fall because of the colorful leaves, but you can find an unbelievable vacation experience every month of the year in California’s lovely Sonoma County. And of course, wine tasting has no seasonal limits! Enjoy the food, wine, and ambiance of this beautiful destination. We invite you to explore our photo gallery for first-hand experiences and personal photos of our visit to one of California’s most beautiful wine destinations. We recently had the opportunity to tour the newly-expanded Kona Kai Resort and Spa on San Diego California’s beautiful Shelter Island. As long-time San Diego residents, we remembered this venerable property which has quite a fascinating history, having attracted its share of famous celebrities over the decades, from Presidents to pop stars. And baby, look at it now! The property, now a Noble House Resort, boasts its very own private beach, multiple swimming pools, waterfront restaurants, an award-winning spa, 55,000 square feet of versatile indoor and outdoor event space, a 500-slip marina, and a renowned private club— the Kona Kai Club. Paloma Pool and Bar, a new and exclusive pool area for adults only, allows guests to enjoy poolside craft cocktails and California Coastal cuisine while overlooking some of the region’s most breathtaking sunsets. Since a photo is worth 1,000 words, we would like to share our gallery of original photos taken during our two-night stay at one of the property’s brand new suites that featured a pleasant island decor, a balcony overlooking San Diego Bay, and a deep soaking tub. I must admit the tub was the ultimate in relaxation after a long day of kayaking, hiking and other activities we enjoyed during our stay. The only photos missing from our experience are from our oh-so-relaxing couples massage, which we relished as part of our experience at SpaTerre, the property’s state-of-the-art spa. We put down our cameras for an hour to luxuriate in the outstanding massage therapy we received under our therapists’ excellent hands. For those of you who may be bird watchers, we were astounded at the number of magnificent sea birds that make their home in the marina just steps away from the hotel. It was such a pleasure to photograph them from the shore and as part of our exciting kayak excursion down the marina. Click on our photo link to see some lovely images of the amazing sea birds we encountered during this kayak adventure. As San Diegans, we can honestly suggest the Kona Kai Resort, located just minutes away from San Diego International Airport, the historic downtown Gaslamp Quarter, and all of the city’s top attractions, for a Spring Break experience that is sure to please. Guests who book four or more nights at the resort will receive a $300 resort credit and a cabana rental at the new Paloma Pool and Bar overlooking the Kona Kai Marina, steps away from the new luxury suites. The credit can be used for additional amenities at the hotel, such as brunch at Vessel featuring bottomless mimosas and live music every Saturday and Sunday, signaturecocktails enjoyed at the pool or bar, stand-up paddle boarding, couples massages and more. To learn more about other spring travel packages, call 619.221.8000 or visit www.resortkonakai.com. It’s not easy to be a travel journalist when your goal is to travel light. My husband Tony and I share the pain. He carries our heavy camera equipment in a backpack and packs his wallet, cell phone, and our passports, etc. in his beloved ScotteVest. My backpack carries my 15” laptop, wallet, printed itineraries I may need (you can’t always ensure that you will have internet connection) and my cosmetics. That leaves two small carry-on bags in which we need to stuff a variety of clothing options. This includes some “dress up” items for cruises, special events, and those press trip itineraries that require somewhat more than jeans and T-shirts. For any man on the road needing a suit, we can highly recommend the affordable Haggar “Active Series” line. This suit is super light-weight (so important if you are carry-on only travelers) and features an amazing stretch fabric designed to move with you all day, no matter what your activity. This includes a waistband that flexes 2 inches, perfect after a multi-course meal. The fabric is wrinkle-free, so important for us folk who live out of suitcases, and boasts a state-of-the-art ventilation and moisture-wicking system. Bottom line is, this amazing suit will stretch with you from the airline seat to the board room and to activities beyond. For a suit that moves with you all day, is lightweight, and looks sharp, this is definitely our recommendation. As frequent travelers, we know the importance of protecting our home while we are touring the world. As such, we are always on the lookout for innovative products to enhance our home security system. If you have a notion to improve your home security, the NOTION is for you! The Notion is a small, Oreo-sized sensor that you can place around your home to monitor various activities. Notion can tell you when someone enters the door, opens the garage, tries to access a liquor cabinet or opens a window while you are away. But most importantly, Notion sensors can quickly recognize water leaks almost immediately, temperature changes and smoke alarms going off, sending alerts to users via a mobile app, helping to prevent severe water and fire damage before it’s too late. Set up was simple. The instructions lead you through a simple calibration mode, using your smart phone, for each component as it is installed. The first application was on our garage door, a prime spot since we often forget to lower the door especially when we’re in a hurry. If we aren’t sure if we closed it, all we need to do is refer to the app to check the status. We also placed one on the floor next to the water heater. In the event of a leak (this happened to us a few years back and we came home to a flooded kitchen), we would be immediately notified via our phone. Check it out. Better safe than sorry, as the old adage goes. Since cooking is my passion and the holidays are coming up, I couldn’t resist telling you my latest and greatest find, the Cuisinart Air Fryer Toaster Oven. For years, we’ve used a deep-fat fryer to make a few favorites such as fried calamari (a favorite in our Italian American family over the holidays), shrimp, and French fries. We were, however, careful not to use it too often because of the fat content that inevitably comes with the process. When I discovered this Cuisinart product, I knew I hit the culinary jackpot. 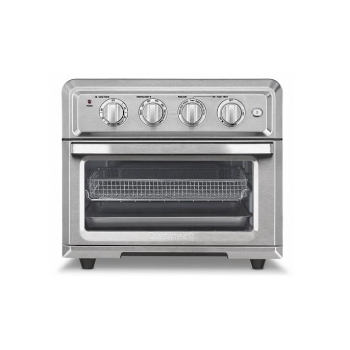 Not only does this attractive stainless steel appliance bake, broil and toast, it also lets you air fry right inside the oven! This means I could toss my aging toaster oven and greasy fat fryer (which needed constant cleanup and a new gallon of oil after just a few uses) and place this kitchen workhorse on my counter to satisfy a wide variety of culinary applications. Our delicious coconut shrimp, right out of our Cuisinart air frying oven! The true test came when my husband made his favorite recipe—coconut shrimp. I must admit, he was skeptical that he could get delicious results just by spraying a light layer of olive oil over his breaded shrimp and popping it in the air fryer for ten minutes. But he was sold when he saw, and tasted, the outcome. Air fying is the way to go for a healthier diet, and this oven does it all in one attractive stainless steel unit. Bon appetit! You know you are in a brave new digital world when holiday lights go high tech! Gone are the days of buying those cheap strings of lights that are so frustrating to unravel and inevitably crash after one season of use-- if you get even that. We decorated our outdoor tree with two boxes of Twinkly 56 LED lights in less than 20 minutes! I can change the colors at a whim with my smart phone. Too cool! In comes the Twinkly series of products, a new generation of LED string lights that work with your smart phone to display an infinite and customizable number of effects on your tree, wall, or window. You can even create your very own animations in the app. They are designed for use indoors or out. Each light is designed to produce an intense light effect, resulting in super-vivid colors. It took us all of 20-minutes to string the lights on our outdoor tree and program them in all sorts of cool effects we can change with a tap on our smart phones. Thanks to Twinkly lights, we are the talk of the neighborhood this holiday season! I came across a new product that just might be a solution for those of you who don’t want to wear a travel vest, but still want an efficient, and hands-free, way to carry all your essentials while on the road. The iBand Sling is worn across your chest and has several pockets that hold your ID, smart phone, business cards, sunglasses, passport and cash. There’s also a spot for your water bottle and a secret passport pocket, as well as a carabiner for keys. It’s great for a wide variety of activities, from hiking to theme park adventures to dog walking, to name a few. But it’s really useful if you are a frequent flyer, as it makes going through security so much easier. Just toss it on the conveyer and avoid the hassle of removing everything from your pockets before you pass through screening. Just make sure your water bottle is empty! Looking for a cruise experience you will never forget? If so, you should consider a sail on Viking Ocean Cruises. The summer cruise itinerary “Into the Midnight Sun” explores the Norwegian coast, crosses the Arctic Circle, and follows the path of the Vikings to destinations in Great Britain, including London. Daily shore excursions which explore the landscape, culture and history of each port-of-call are complimentary, with a wide array of optional adventure packages available for purchase. Since a photo is worth 1,000 words, take a look at our USATODAY PHOTO GALLERY of this amazing experience. As travel journalists, my husband and I need an arsenal of clothing that will take us through any weather condition we encounter. Since we live in Southern California, we really have to rely on some savvy outfitters to suggest the right clothing for our travels to cold weather climes. Since we only use carry-on for our voyages, no matter where we go and for how long, we definitely look for versatile, light and easy-to-maintain garments. We often travel to rainy, windy (and cold) climates, so I was definitely in the market for a jacket for my husband that would protect him from the elements. His Cache Creek Coat definitely filled the bill during our recent visit to the Canadian Rockies where weather conditions can vary greatly in October. It is light and breathable enough that he was able to wear it on the plane from San Diego to Vancouver without ever having to remove it during the flight! When we arrived in Vancouver, it was pouring rain. No problem. He put up the jacket’s hood and didn’t have to deal with a travel umbrella to protect him from the elements, as I did! And it equally protected him from the nippy wind and cold we encountered in Banff. For travelers needing lightweight but robust outwear to stand the elements while traveling, this is a product we can highly recommend. Working daily in front of the computer is a way of life for all of us, and it isn’t going to go away anytime soon. I’m always looking for a way to alleviate the pain of sitting in front of my computer for 10+ hours a day. Even though I take breaks and try to exercise a bit in between, sitting for hours can be exhausting, and painful. If you work from home, as I do, the LEVO G2 Deluxe Tablet Stand might just be the answer to your needs. You can sit in a cushy recliner or lie in bed and the Levo will securely hold your equipment at the perfect height and viewing angle. I love using this to read my emails in the morning on my tablet. It’s also perfect for reading a good book on your Kindle as you lounge in your recliner. I do want to mention that this stand is not designed for use with a heavier laptop. I’m anxiously waiting for LEVO to make a heavy-duty version that will hold my 17” laptop securely and allow me to work on my assignments from the comfort of my adjustable bed. When that happens, I’ll be their first customer! As frequent flyers, we are always on the quest for the perfect neck pillow to get us through those tortuous long flights in coach. My husband is one of those people who naps during a flight and constantly wakes up when his head bobs suddenly onto his chest. When I saw this new Kickstarter product, NapUpFly, I knew it might be the right device for him. He tested it during a recent flight and gave it a definite “thumbs up.” The device comes in two parts: a soft support cushion and a non-restrictive forehead strap that fastens onto your airline seat head rest. The forehead strap can be moved up and down and is adjustable to all head sizes. Since my husband loves to listen to music during his flight, the built-in headphone speakers were definitely a welcome accessory. So for those of you who are prone to “bobbing” during your flight and need some head support, this new product is definitely worth consideration. You may not think of toothpaste as part of your travel arsenal, but it definitely something you don’t want to leave behind when you are on the road. I did come across a product I really enjoyed taking on our trips. The SprinJene line of toothpaste offers a wide assortment of natural flavors. It’s also certified in FIVE categories: Vegan, Gluten-free, Kosher, Halal and Cruelty-free). I loved the Black Seed Oil version and there are lots of children’s options to select from too. They come in convenient travel sizes. Check them out! Disclaimer: Please note that the opinions expressed in this review are strictly my own and will not receive any future compensation based on sales arising from my recommendations. My goal is to share my favorite travel tips with my followers, in an effort to improve the travel experience for us all. It's summer in beautiful Sonoma County California, and the livin' is easy. The state of Idaho has always been known for its dramatic natural beauty, making it a much favored destination for visitors from around the world. The state capital of Boise has equally come into its own as a popular tourist and meetings destination, thanks to an ongoing urban Renaissance that has added a wide variety of experiences for the visitor to enjoy. 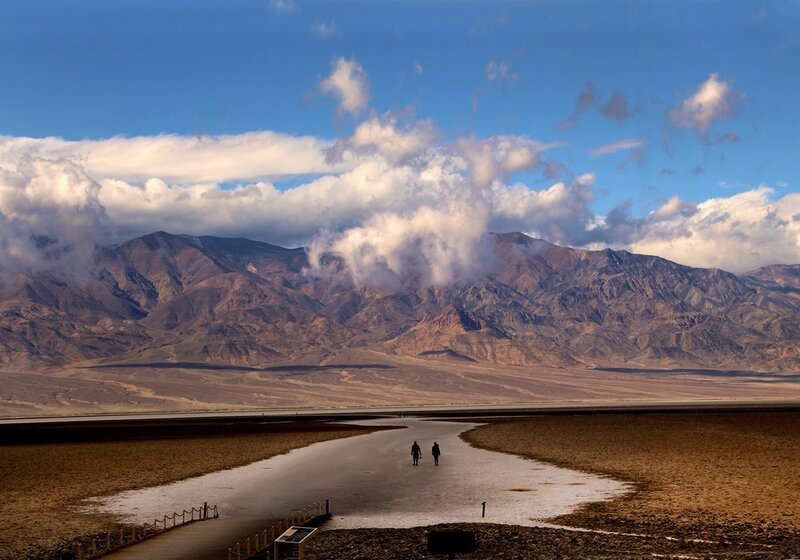 Discover the beauty of this destination on my USAToday/10Best link. See an entire gallery of Boise images on our photography website, Joanne & Tony DiBona Photography. Read the print article on our Boise experience that published in the Travel Section of the San Diego Union-Tribune on July 8, 2017. Okay, I admit it. I'm somewhat of a camera snob. I wouldn't dream of going on a press trip without my Canon SLR and several lenses. For years, fellow journalists have suggested I add a GoPro to my arsenal of equipment, especially for snorkeling, biking, and other adventure shots. It took the loss of two waterproof point-and-shoot cameras (one fell through a slot in a pier as I got of a kayak and another was ruined because the battery enclosure opened up as I was trying to follow a sea lion) and a near accident on a bike ride trying to shoot video with my SLR, to change my mind. Oh, and the fact that I only had to spend $199 for a HERO GoPro sealed the deal. I had one of those "what took me so long" moments the first time I packed my new GoPro on a press trip, which happened to be a small ship cruise through Costa Rica and Panama. Between hiking through jungles and snorkling daily in the crystal clear waters, my HERO saw plenty of action. Its miniature size and the many available adapters and holders made it so easy to shoot in a variety of circumstances. HERO features a 2-inch touch display, is waterproof to 30 feet and is extremely durable. A handy voice command makes control and mode changes a snap. The image quality (especially for a device so small!) was impressive: HD Video (1440p60 and 1080p60) with normal and wide angle 10MP photo performance. And did I mention that the HERO features video stabilization that helps smooth out the shakes? It even offloads your photos and videos to the GoPro app that creates shareable videos automatically (no more fumbling with your SD card or plugging your camera into a computer), so friends and family can travel right along with you. The real test came a few days ago, as I was biking through the vineyards of Sonoma County's Dry Creek Valley. No more clutching the handle bars with one hand as I try to maintain my balance snapping photos in the other. Thanks to a cool headband, the HERO captured beautiful photos and images, every step (pedal) of the way! This amazing camera is definitely my new HERO! Now that summer is upon us, your probably aren't thinking of adding a travel wrap to your suitcase unless you are heading to Northern climes. But think again. 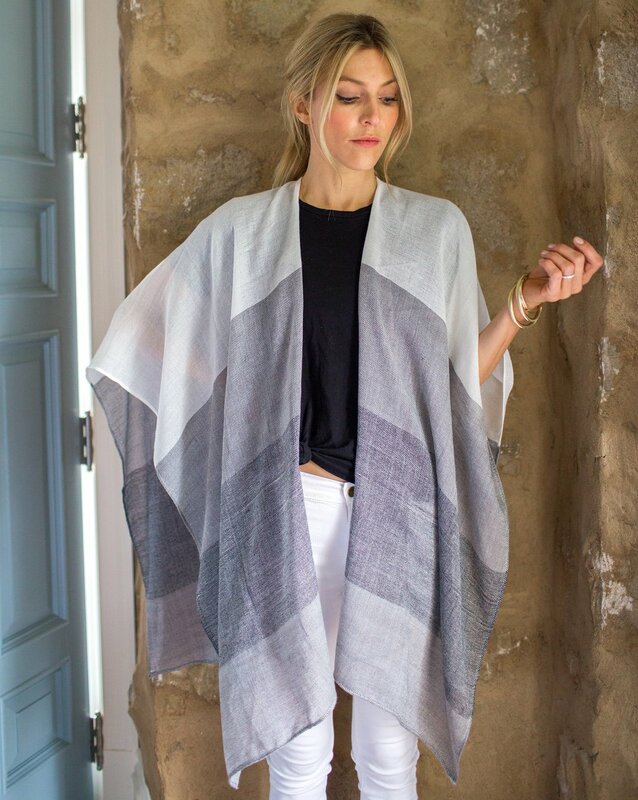 A lightweight linen wrap can add a stylish touch to your outfit as well as protecting you from the sun or an unexpected chill. I love the MerSea line of travel wraps, which are a must for a traveler like me, who ONLY takes a carry on, no matter how many weeks I am traveling. The patent-pending design has a low-profile buckle and a non-slip grippy inner gel that holds on tight, keeping the belt in place and your pants on. Started as a social enterprise, Jelt Belt is committed to social responsibility by donating a portion of their sales to organizations that support veterans, families and the environment. The belts are manufactured in Montana as part of the Women's Prison Montana Correctional Enterprise, giving women prisoners the skills and confidence to live a more productive life when they are released. A sandy beach may be beautiful to look at and photograph, but it isn't fun when the fine sand turns your beach bag into a soggy mess. Living here in beautiful San Diego, our family loves to spend time on our region's gorgeous beaches. I've gone through countless numbers of beach bags, but I must say, the CGear Sand-Free backpack stands up as one of the best for keeping our wet towels and swimsuits relatively sand-less after a day at the beach. The mesh bag can be carried or used as a backpack (which we prefer, especially when we are carrying a heavy cooler). A patented technology allows sand to fall out of the bottom, but prevents it from getting in when you set it down on the beach. While you can't avoid picking up some of those pesky grains during a beach visit, this bag certainly does an excellent job in keeping your experience relatively sand-less. CGear actually offers a full line of products, from beach mats to footwear, that promise to give you a sand-free life when visiting your favorite strand. Disclaimer: Please note that the opinions expressed in this review are strictly my own and will not receive any future compensation based on sales arising from my recommendation. My goal is to share my favorite travel tips with my followers, in an effort to improve the travel experience for all.